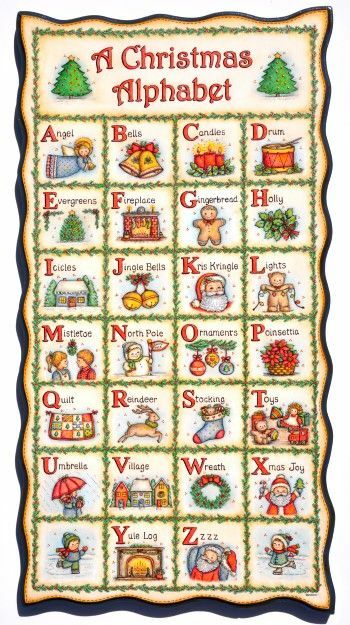 Featuring a Christmas design for all letters of the alphabet plus two little ice skaters on the bottom row, a total of 28 separate designs. They are all painted on a 19 1/2” x 10 1/2” scalloped board. 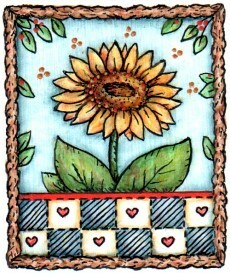 Painted separately and maybe enlarged a little, the designs could also be used for Christmas Ornaments. This e-packet contains: Complete directions, four color photos and four pattern pages for a total of 19 pages.